XON Episode One is the first piece of your adventure in the XON universe and serves as a free to play introduction into the franchise. For players that want to explore more of the puzzles and settings offered by XON you’ll be able to purchase the second and subsequent episodes for iOS and Android. 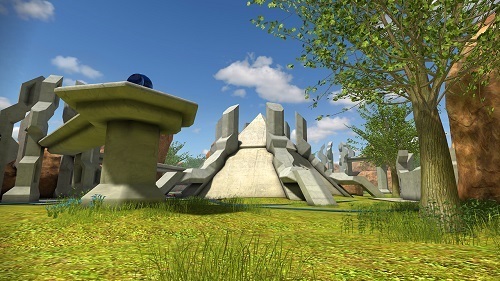 Inspiration from the likes of Myst and Riven are strong in XON Episode One (and Episode Two) with the game revolving around visually impressive landscapes, unique puzzles and a varied game world. This all pairs with an ambient soundtrack which while it lacks music still adds some atmosphere. XON Episode One is a highly freeform game with players given essentially no direction or insight into what they are meant to do in the strange alien world that surrounds them. While players will no doubt need to spend some time obtaining their bearings once you start down your pathway the games natural flow takes over. 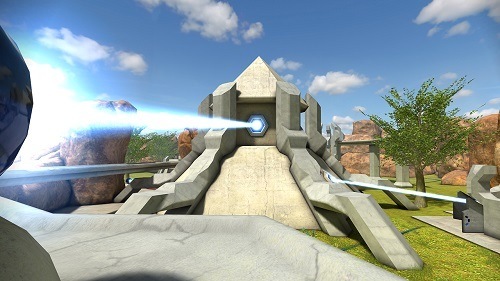 XON Episode One just like the original Myst manages to have this intriguing scenario that feels like it has half Earth and half alien from the technology to the trees, sky and rock formations. While exploring you won’t just be enjoying the view though as you’ll slowly come across intractable objects that serve as the games puzzles. XON Episode One is particularly fond if its logical puzzles or puzzles that influence the environment somewhere else so trial and error is often best used. Overall its on the harder end of puzzle adventure games as you attempt to mix and match things in the environment for the desired effect. This is hurt more by the controls of XON Episode One which seem to just have a touch of lag between input and result, thankfully for those that go onto purchase Episode Two and subsequent releases this issue seems to be have been resolved. The first episode of many in the XON franchise. Explore an Earth like world filled with puzzles. Incredible atmosphere and sound ambience. First episode free for iOS and Android.